I was connected with Brittany and Nick Krueger who are currently living and serving in Honduras. They were all set to adopt a sibling set of 3 when their world got rocked and they realized the girls had a birth Mom who loved them. This has undoubtedly changed the Krueger family and what they see orphans and vulnerable children needing in Honduras. They were given my contact to ask about our experience with resettlement here in Uganda and now I have asked if they would share the journey they’ve been on in moving from adoption as the answer for their girls, to resettlement. When plans change, is He still good? When things don’t line up quite like you had planned, is He still good? When you don’t get the answers that you want, is He still good? Our journey to Honduras began back in December, 2012. We came to visit a ministry, Eternal Family Project for the holidays and see what God was showing us. On the last day of our visit, just hours before we had to board the plane, we visited the government run orphanage in San Pedro. We visited the rooms of babies, held precious little lives in our arms, played with kids on the playground, and just tried to shower these sweet souls with love. We stepped into the room of preschool kids and were almost immediately drawn to one very quiet 4 year old named Nahomy. We felt strangely connected to her and felt as though God was asking us to care for her. We were so confused as we were headed to the airport and had no idea how to help. Coming home did not stop our desire for a relationship with Nahomy. We continued to think about her and prayed fervently for God to open a door to help her. We knew Honduras had a difficult adoption policy with the United States. It was a potentially lengthy, and sometimes impossible process to adopt a Honduran child and bring her back to live with us in the US. So, we just continued to pray. Meanwhile, we asked to get more information about Nahomy. Our contact in Honduras, Allison, was able to find out that she had two sisters, but that their mom was going to come back and take them home. 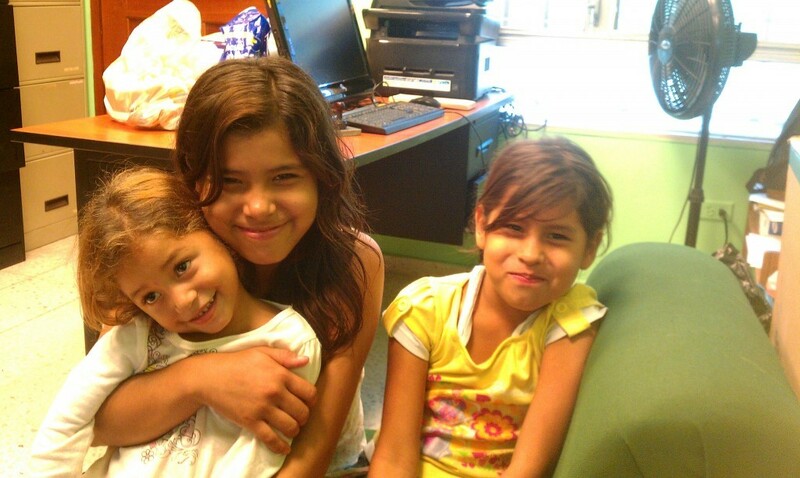 We were thankful that her mom would hopefully return to take her children back home. We continued to pray for these three sweet girls and for God to open a door if He wanted us to help them. The Call That Changed Everything. The week had been crazy and busy, as weeks tend to get, and I was still at the school for parent teacher conferences. Nick sent me a text that stated he had spoken with Allison and that I needed to call him quickly. I called him only to find out that I would have to wait and talk to Allison later in the evening. So after what felt like eternity, I finally made it home at 8:00 pm. Allison called at 8:30 and what I was about to hear would forever change our lives. She said that the director of IHNFA (an organization similar to the Division of Family Services in the US) had come to have tea with her on Sunday afternoon and began sharing about a case that was weighing heavily on her heart. She felt personally responsible for finding three girls a home; their ages were 12, 8, and 4 and they were currently at the state orphanage. When Allison heard the ages, she asked if the youngest girl’s name was Nahomy, to which the director answered, “Yes, but how did you know that?” Allison proceeded to tell her about our family’s visit and our trip to the orphanage. Then she said the words, “They are adoptable.” WHAT!? WAIT!? The tears stung as they poured down my face. She told us to pray and seek God’s will for this. Once we were off of the phone, Nick and I quickly felt that they were our kids, but continued to pray. As had been planned for some time, I left town early the next morning to go visit a dear friend that had recently had a baby. With minds full of thoughts and emotions pouring out all over the place, Nick and I continued to pray and talk on the phone for the next two days. On Friday, February 1st we made our decision to walk in faith through the door that God had so clearly opened. We called Allison to tell her that we wanted to adopt the girls. Much to our surprise, she was at the orphanage when we called. We told her our answer (expecting to have until Tuesday before she would go back to the orphanage), only to be met with another decision to make. “I can take them home with me today, if you want me to.” Our heads were really spinning by this point. We asked her to find the answer to two more questions that we had; and we also wanted to contact the chairman of the EFP (Eternal Family Project) board of directors, to let him know all of this was transpiring. Within 10 minutes, all three of those pieces fell together. Allison had good answers for our questions, and the chairman gave us his support with no hesitation. Fast forward about 4 months and we arrived at our move date. When we moved to Honduras in June, we had a fairly clear plan on what God has asked us to do. Take in 3 girls as our daughters and adopt them. They were in an orphanage, and in our little knowledge of the situation we thought obviously we are the best solution. That was until we met their birth Mom. Again we had preconceived ideas on what their mom would be like; likely flakey, uncaring, and unloving…just to name a few. That is not at all what we saw when we met her a short 2 weeks after getting to Honduras. She was actually the direct opposite of all of our unfair judgments. We immediately began asking about resettling the girls with their mom and met resistance. So, we prayed. We continued to invite their mom to visit and continued to build a relationship with her. A few weeks ago, our social worker came to the house for a visit and had some big news to share. She had decided to place the girls back with their Mom. At first, our hearts sank but God quickly gave Nick and I a peace that only He can give. There are many mixed emotions, but we are confident that God is in this. We are going to be working with our social worker, another family ministry called Operation Blessing International, and their Mom to create a plan that allows us to help them for a certain period of time while she gets on her feet soundly and then can care for the girls 100%. The transition time, at this point, looks like about a month. The girls are currently living in the other ministry house until the social worker is ready to resettle them with their mom. We feel that God has opened our eyes to the realization that many kids don’t need to be taken from their biological families, but instead some families desperately need the right support group to come alongside them. So, our path doesn’t look like it did a few months ago and it is a beautiful thing. Resettling a family is not always easy but the healing that can happen in the process is amazing. Please pray for their family that God would heal what is broken & make this resettlement successful. Please pray for wisdom for us to know how to best help during this time. God doesn’t ask us to have it all figured out, He just asks us to trust Him, and that is exactly what we will continue to do! WOW! Brittany and Nick´s faith and the manner in which they really live it is truly inspiring. Kudos to them for being open to helping these little girls in any way they can, though it may not be what they were expecting. With so much love, I am sure their family and its members will manifest itself soon. thank you for this uplifting story! I’m sitting here with tears of joy running down my cheeks as I read of your devoted calling to do what God has called you both to do. I cannot express in words what my heart feels when reading of your experiences and your devotion in doing God’s will. Grandma and I hold you both before the Lord every day, and certainly your response to situations of both a positive and seemingly negative nature shows your love and devotion to what God has called you to do. What is your pain teaching you?